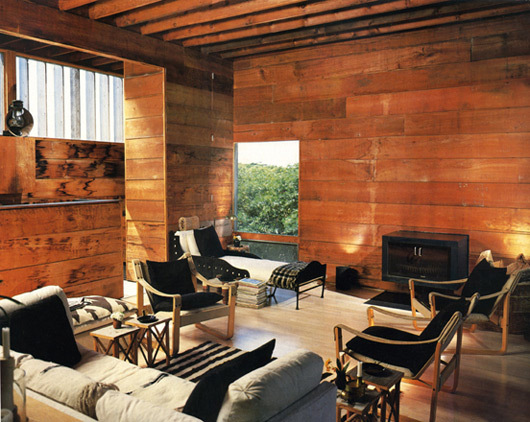 Bates Masi Architects Fire Island Tree House | Shelby White - The blog of artist, visual designer and entrepreneur Shelby White. 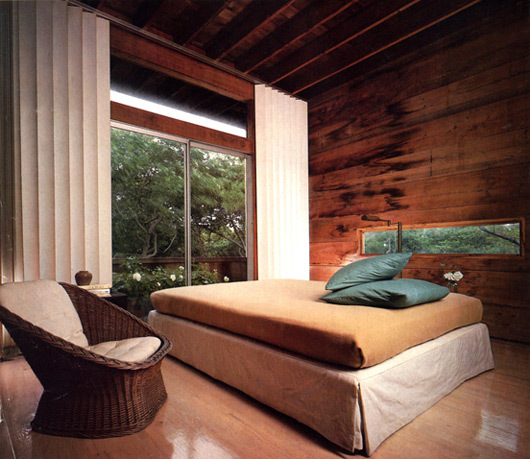 Wood interiors and exteriors seem to draw me in. When I was young, my brother and I would build tree forts and random wood structures throughout the woods. Now that I look back, it occurred to me that we had always built our forts a certain distance away from the house. More than likely it was an attempt at avoiding chores. Did you ever have tree houses or forts as a kid? I had a tree house as a kid. Looking back it was really built poorly but we didn’t care then. My brother, cousin, and I used to spend hours upon hours up there pretending to be pirates and pilots. Some of the best times of my life were spent up in the tree house. 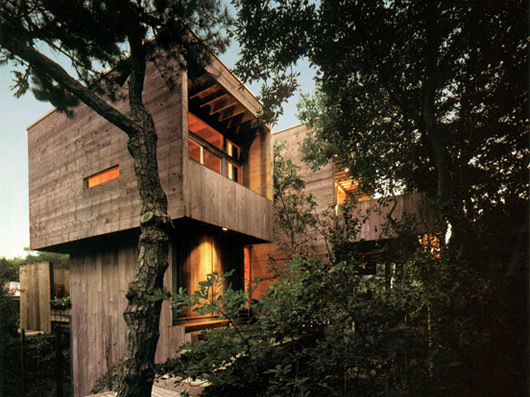 Looking at the Fire Island Tree House makes me want one again…But this time it would be for me to have an isolated to work on design, photography, art, and reading. That would just be the best. Shelb – regarding “chores”, read your post to Dad. He laughed and said something like “gee, do you think?” : ) love mom. I never had one as a kid, but I’d love to build one now. Maybe an open top tree deck for summer, sit up with a few beers and enjoy the breeze. Living in the middle of a city, there wasn’t much in the way of large convenient treehouse building trees. In fact, most of the “trees” around were of the giant bush variety. Not nearly sturdy enough for any sort of structure. However, I did find refuge (perhaps because of my lack in a real one) designing them in my bedroom. I would love the above treehouse. 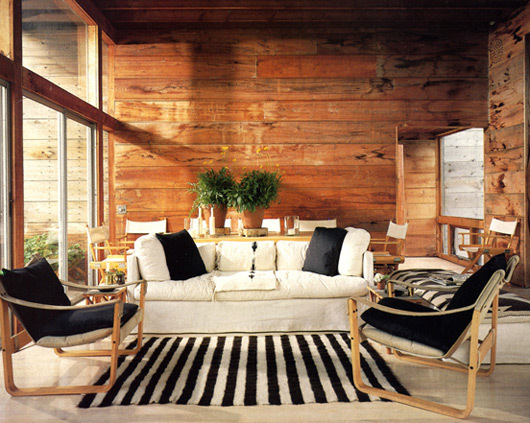 sunlight and wooden interiors makes it feel so warm and inspiring. If we all had our own tree house there would be no more war (except the wooden pistol kind).